If you are looking for picture perfect spots in Downtown Huntsville, here are a few places you might want to check out. This Park in downtown Huntsville is perfect for a bike ride, watching fish, or feeding ducks. You can get your initial Hello Huntsville shot and find the perfect backdrop. *Pro Tip Don’t forget that Night Time is an Option! Sometimes all you need is a park bench and some greenery behind you to strike a pose and become a diva! The rocks and light up fountain make for a beautiful backdrop. 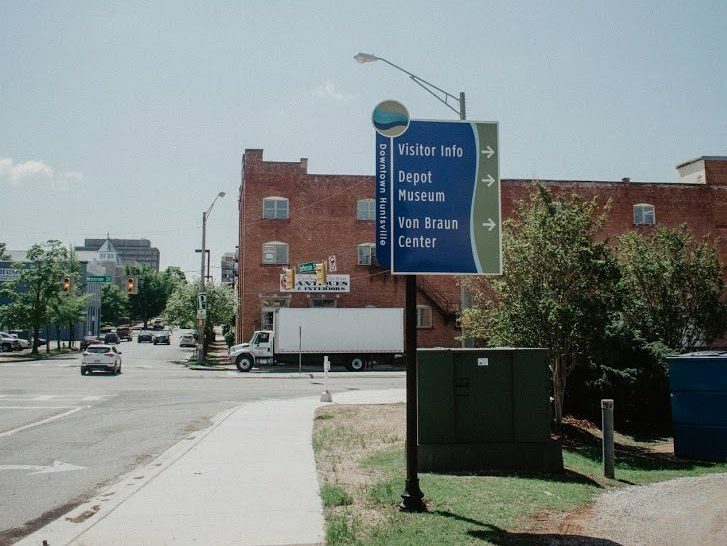 If you’ve caught a show or hockey game at the Von Braun Center, stop by before getting into your car! Don’t forget your obligatory photo with our Hello Huntsville mural. 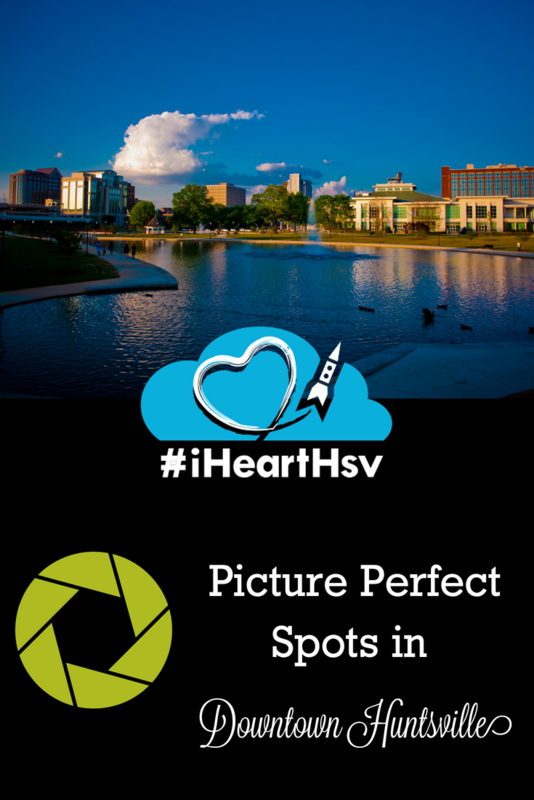 Document your time in the Rocket City and don’t forget to use hashtag #iHeartHsv! Feeding the ducks is a great way to get your kids outdoors and exploring. Plus, they may stay still long enough for you to snap a shot! Huntsville’s Downtown streets are clean and cute! With trees and exposed brick, hanging lights and even art, you are sure to find a spot to shine! *Pro Tip: Don’t forget that there are plenty of amazing restaurants downtown to grab some grub. Photography is hard work! Grab the family and stroll down the streets of the Twickenham district. There’s even a self-guided walking tour to learn all the history of the homes! A Huntsville favorite are the lights and color walk at Clinton Row. They usually have something going on, but if not the streets still look magical! You may notice there are a lot of sculptures around downtown, particularly this interesting light tree at The Avenue at Jefferson Street. This forced perspective mural of the Koi at Big Spring Park is on the side of a parking garage at 200 West Side Square. Make a fish face or smile – just remember to tag us at @Go2HuntsvilleAL or #iHeartHsv. On the courthouse square, this hardware shop is not tools and hammers. The exposed brick and beautifully decorated windows let visitors grab a piece of Huntsville to take home and provide a quaint setting to show off downtown Huntsville.